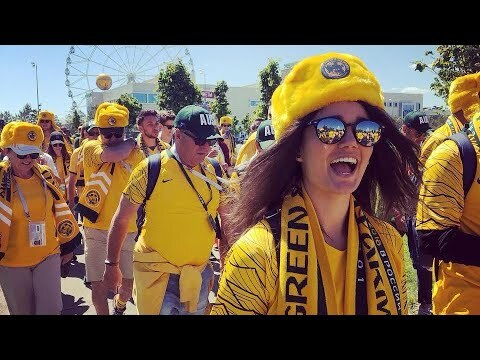 Whether you're in town to watch the Socceroos, your favourite A-League team or just for business or fun, save on your accommodation in Melbourne, Sydney & Brisbane with the Green & Gold Army. In the midst of the Socceroos AFC Asian Cup successes the Matildas have been toiling away in training camps preparing for 2015 Canada. We're looking forward to a pre-match to rival the Uruguay World Cup qualifier of 2005 this Saturday night at Sydney Olympic Park for the Asian Cup Final. Fans are invited down to The Brewery from early arvo while our usual live sites will be in operation around the country - destiny is upon us! We’ve got an update that gives you detailed news on what shapes as a cracking pre-match in Newy, live sites across Australia including a cracking half-price Heineken deal in Melbourne. Make the most of Sydney during your visit for the Asian Cup with a stay at the North Sydney Harbourview Hotel for just $185.